Lactococcus lactis KTH0-1S isolated from Thai traditional fermented shrimp (Kung-som) is able to produce heat-stable bacteriocin and inhibits food spoilage bacteria and food-borne pathogens. The inhibitory effect of bacteriocin remained intact after treatment with different pHs and after heating, but was sensitive to some proteolytic enzymes. 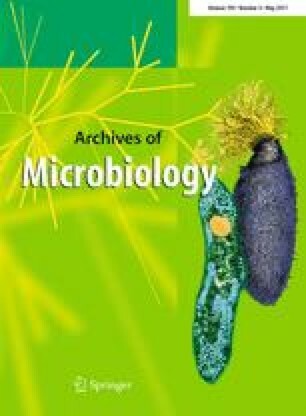 Addition of bacteriocin KTH0-1S to Staphylococcus aureus cultures decreased viable cell counts by 2.8 log CFU/ml, demonstrating a bactericidal mode of action. Furthermore, the growth of S. aureus decreased significantly after 12-h co-cultivation with bacteriocinogenic strain. The molecular mass of bacteriocin KTH0-1S was found to be 3.346 kDa after ammonium sulfate precipitation, reversed phase (C8 Sep-Pak), cation-exchange chromatography, RP-HPLC on C8 column and mass spectrometry (MS/MS) analysis. Bacteriocin KTH0-1S was identified as nisin Z using PCR amplification and sequencing. The majority of tested virulence factors were absent, confirming the safety. Evidenced inhibitory effect of this strain, the absence of virulence factors creates the possibility for its application as protective culture to inhibit pathogenic bacteria in the several fermented seafood products. The online version of this article (doi: 10.1007/s00203-016-1324-3) contains supplementary material, which is available to authorized users. This work was supported by the Higher Education Research Promotion and National Research University Project of Thailand, Office of the Higher Education Commission (AGR540556j). A part of this work was supported by the Graduate School of Prince of Songkla University and the French Bio-Asie project from Foreign Affairs Ministry of France. This study was funded by the Higher Education Research Promotion and National Research University Project of Thailand, Office of the Higher Education Commission (AGR540556j). This study was co-funded by Graduate School of Prince of Songkla University. This study was co-funded by the French Bio-Asie project from Foreign Affairs Ministry of France. Informed consent was obtained from all individual participants of this study.